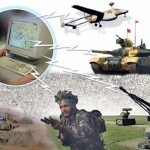 Home > News > Military & Aerospace > Battlefield Management System for Indian Army – Where Are We? The BMS will comprise a tactical hand held computer with individual warfighter and tactical computers at Battle Group HQ and combat vehicles enabling generation of common operational picture by integrating inputs from all relevant sources by integrated use of GIS and GPS with a high data rate. Phase I of Project BMS comprising test bed laboratory and field trials at test bed location of one Combat Group and three Infantry Battalion Groups by 2012 has been inordinately delayed, initially three years lost due to indecision within the Army concerning delimitation between the BMS and the Futuristic Infantry Soldier As a System (F-INSAS) under development by the Infantry and concurrent fallout in re-ordering of the Feasibility Study. The Infantry insisted in handling Phase 3 of F-INSAS (Computer and Radio Sub Systems plus Software Integration) by themselves while DGIS was already developing the BMS including for Infantry. The BMS design caters for light weight, ergonomics and long range communication over portable SATCOM (Team / Troop Leader level), and sensor integration is integral to the project. A conservative approach by the Army at this stage, which is likely due to the limitations of legacy communication equipment, could limit exploitation of future technology. 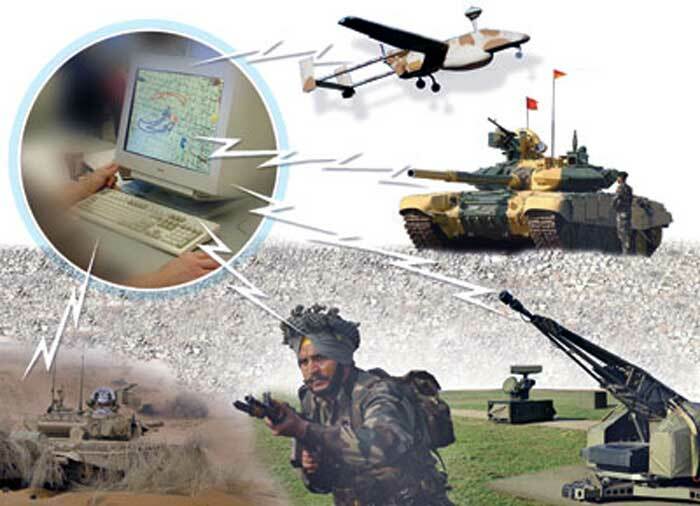 The BMS sought by the Army is to perform a variety of operational situational awareness and decision support functions at a Battalion / Combat Group level. The lowest level to which the system will be connected is individual soldier / combat platform and the highest level will be the Battalion / Regiment Commander integrating to the Tac C3I System through the CIDSS, enabling a common operational picture, integrating all sources through integrated use of GIS and GPS, will be a highly mobile and with high data rate. The communications should: not interfere with the legacy communications; optimally utilize bandwidth available involving voice, data, imageries video streaming; scalable ensuring availability from being man-portable to being fitted in combat vehicles. For a BMS to be successful there is a need for a reliable, robust, resilient and efficient communication system that assures that the network is always functional. Net centricity warrants a paradigm shift from voice centric to data centric systems and networks eventually enabling NCW capabilities. For BMS communications the IA would be looking for long ranges, high bandwidth data transmission (live streaming), facilitating messaging including voice mail, quickly deployable, self configuring and self healing networks, easy to customize, rolling coverage and interoperability. The focus will have to be on change in network topology, non line of sight communications, spectrum management, network management systems, QoS (including latency, assured delivery, jitter), security of communications, networks and storage, robustness and authentication. Bandwidth requirements for the BMS need to be viewed keeping in mind the incremental requirements that would be required progressively over the years. In February 2016, MoD signaled these two Indian consortia, one led by Tata Power and the other led by BEL, to develop a BMS prototype for the IA, which could eventually generate about Rs 40,000-50,000 crore worth of procurement for the Army. In end 2011, the Defence Acquisition Council (DAC) approved the BMS as a ‘Make India’ project, following which an Integrated Project Management Study (IPMT) was completed. The Expression of Interest (EoI) was prepared and the case for empanelment of industry to receive the EoI was pending with the Department of Defence Production (DoDP) and was expected to be issued to the industry by August-September 2013. Thereafter, it was envisaged to shortlist two Developing Agencies (DA) by about March 2014. Subsequently, design phase was expected to commence by July 2014, limited prototype tested in laboratory by end December 2015 and finally, prototypes developed and fielded for user evaluation by December 2016 (instead of earlier schedule of 2012). The cascading effect by then had already delayed completion of Phase 2 (Equipping) from initial plan of 2017 to 2021 and Phase 3 (Change Management and Up-gradation of System) from 2022 to 2026 as per then status. 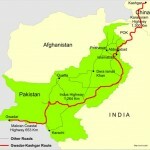 This delayed schedule too was considered possible only if there were no further hurdles. In February 2015, the EoI for BMS was finally issued to 14 domestic companies. However only two consortiums, Tata Power SED-Larsen & Toubro, and Bharat Electronics-Rolta India, qualified the bids. In February 2016, MoD signaled these two Indian consortia, one led by Tata Power (Strategic Engineering Division) and the other led by Bharat Electronics (BEL), to develop a BMS prototype for the IA, which could eventually generate about Rs 40,000-50,000 crore worth of procurement for the Army. As per media reports, MoD informed BEL and Tata Power SED in writing that the consortia they respectively lead had been selected out of four that had given proposals in response to the MoD’s tender. MoD has instructed both consortia, one consisting of BEL and Rolta India, and the other comprising of Tata Power SED and Larsen & Toubro (L&T), to register “special purpose companies” for this project. Each of these development agencies will separately develop a working BMS. The BMS prototypes will be developed and tested in the next 40 months; a final order of 600 plus such systems would then be placed for more than US$ 5.8 billion. Each BMS prototype is to have four variants: one, for the infantry battalion group; two, for combat group (armor); three, for combat group (mechanized infantry), and; four, for special forces. Technologies to be included in each prototype include a geographical information system, multi-sensor data fusion system, rugged computing devices, and a software defined radio-based communication system for soldiers. Under Make in India, the government funds 80% of the prototype development cost and the development agencies cover the rest. 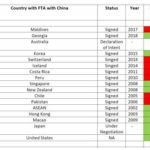 Prototype development is estimated at about $300 million, according to an executive of a domestic company participating in the consortium. The development agencies are free to choose overseas partners for technical assistance but the eventual tender will only be awarded to the domestic companies under the Make in India category. The BMS prototypes will be developed and tested in the next 40 months; a final order of 600 plus such systems would then be placed for more than US$ 5.8 billion. Once fully developed and proved, the BMS will be able to receive and transmit data, voice and images from multiple sources, including radar, cameras, laser range-finders and ground sensors, allowing the soldier on the battlefield access to real time information simultaneously with the commanders up the chain. It will be a critical element of the Army’s NCW capacity building as part of the Tac C3I. A project like the BMS is a multi disciplinary process. It is, therefore, imperative that critical issues are addressed at the inception stage. For this, the test bed must be in full, not truncated as has been the case in testing other operational information systems because of the void of the Tactical Communication System (TCS). A full rest bed would ensure that deficiencies do not crop up later at the fielding stage necessitating upgrades. BMS for the India Army is an essential force multiplier that has been long overdue. It is good that this is being developed indigenously under Make in India, like the TCS. The biggest challenge naturally will be deployment on ground suiting every need of IA in varying terrain and environment conditions. Therefore, developing appropriate system would demand a great amount of flexibility without compromising on speed and security. The requirement no doubt will be colossal considering it will be fielded pan Amy at the battalion / regiment level, but similar system will eventually be required by the Para Military Forces (PMF) and even the Central Armed Police Forces (CAPF) and Police forces involved in anti-terrorist and counter insurgency operations if we are to achieve national net centricity to counter the increasing irregular threats from terrorists, non state actors and state sponsored non state actors. 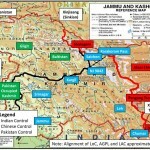 An ambitious project of Indian Army, as usual, with inordinate delays. Thanks for the excellent representation of the BMS. I want to mention that the integration of command center with IAF may also be needed with all GIS, GPS data/images of battle field and surroundings so that IAF may visualize the dynamics of the battle field with real time data and act accordingly in coordination with Army. The article at the following links describes BMS and Satellite based GIS & GPS implemented by US in Gulf war.